Speak Up Against Islamophobia: Since words have significance, people should recognize and articulate the word “Islamophobia”. Issue a statement or write a letter-to-the-editor/op-ed in the wake of Islamophobic attacks. Contact media for inaccurate depiction of Islam or Muslims. Review letters-to-the-editor and op-eds on the topic of Islamophobia, as posted on MERI website. Organize an Action: Organize a public rally or demonstration to show solidarity against Islamophobia. 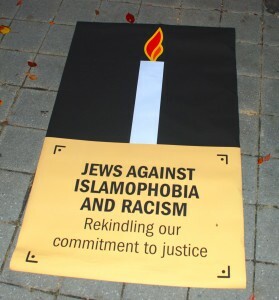 Hold a banner “End Racism and Islamophobia”. Faith-based organizations can organize a faith-based action in solidarity against Islamophobia. Some examples include “Chanukkah Action Against Islamophobia and Racism” as organized by Jewish Voice for Peace or Christmas solidarity with refugees as expressed by Christian leaders. Do Intersectional Work: Islamophobic forces employ fear to ascend to power and victimize all marginalized. Forces exploiting Islamophobia also attack African American, women, LGBTQ, workers and immigrants. It is important to connect our struggles and create space for Muslim, Black and People of Color voices. 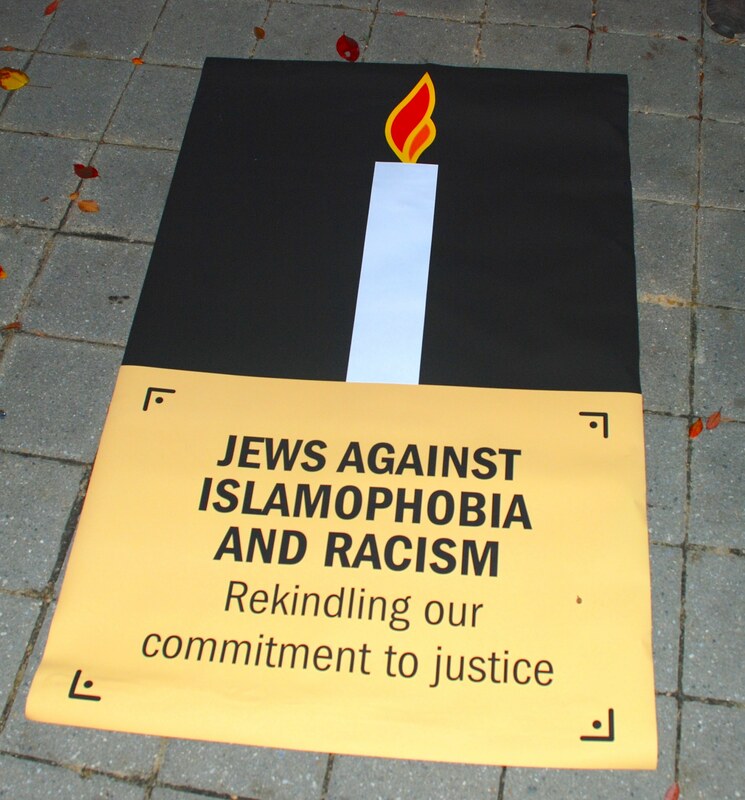 Organize a Forum or Workshop: Organize a discussion, forum or workshop on Islamophobia and its connection to racism and other forms of oppression. Contact MERI or presentation or workshop on Islamophobia that is suited for faith organizations, peace and justice organizations and student groups. Film or Book Discussion on Islamophobia: Conduct a study group to discuss articles, book or movies on the topic of Islamophobia. Check a list of articles, books and movies on MERI website. Support Muslim/Black/People of Color Led Organizations: Support Muslim, Black and People of Color organizations fighting Islamophobia and racism levied against their community members. I don’t think that there is anything irrational or fearful about the criticism of a horrid idealogy which teaches hate and paedophila. Do I have a phobia because I refuse to believe in a flying horse with a human face. Or that a man split the moon in half!? Don’t waste my time. Islam is ridiculous. That is without mentioning the outright paedophila. Ask a Muslim what his opinions on ‘thighing’ is because according to Sharia it is perfectly acceptable and even encouraged for a muslim man to massage his falice between the thighs of a young girl if she is too young to be penetrated. WTF. I do no have a phobia I just hate paedos and violent idiots. Ipsa – It’s sad to hear how little you understand about such a rich and vibrant tradition. Have you ever had an extended conversation with a person who believes in Islam? While not a muslim myself, having these types of conversations has opened my eyes to the beauty of this faith.